If you need to transfer vehicle ownership you may do so only at a motor vehicle agency this type of transaction cannot be handled through the mail. To ensure the proper transfer of documents and to avoid penalties, please follow these guidelines. Remove the plates and surrender them to a motor vehicle agency or full service agency, unless the plates are being transferred to another vehicle (plates can be transferred to another vehicle, but not to another owner). Sign in the buyer's section on the reverse side of the title and insert their driver’s license or Entity Identification Number (EIN-formerly Corpcode). Visit a motor vehicle agency to transfer the title, complete the Vehicle Registration Application (Form BA-49 found only in motor vehicle agencies) if applicable, and receive the license plates. 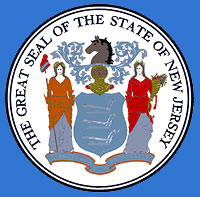 To avoid a $25 penalty, New Jersey or dealer reassigned titles must be transferred within 10 working days from the date of sale. A vehicle registered in the name of a decedent may be operated for 30 days after the date of death. All documents must be brought to a motor vehicle agency or full service agency to complete the transaction. Apply for a Entity Identification Number (EIN – formerly CorpCode). Once received, bring the EIN, the old title, the Surrogate's Short Certificate, and your driver’s license as proof of identification to a motor vehicle agency. In addition, a new registration and proof of New Jersey insurance in the estate name is necessary if the vehicle will be operated. Present the current title along with an Affidavit of Surviving Spouse/Domestic Partner/Civil Union Partner, which must include the raised seal of the County Surrogate, of the county where the decedent lived at the time of death. An original death certificate and a notarized MVC Affidavit (Form BA-62) are also required. Present the current title with an Affidavit of Next of Kin, which must include a raised seal of the County Surrogate, of the county where the decedent lived at the time of death. The title can be transferred to the surviving spouse, domestic partner, civil union partner, heir or buyer by presenting the old title properly assigned and executed by the Administrator of the estate, along with an Administrator’s Short Certificate, which must include the raised seal of the County Surrogate, of the county where the decedent lived at the time of death. The MVC accepts American Express® card, Visa® card, MasterCard®, check, money order or cash. Liens noted on the decedent's title shall be paid before a new title is issued unless the lien on the title is being transferred to the sole owner. Contact your lending institution for more information. A vehicle is only exempt from sales tax if the customer indicates on the purchase price line on the reverse side of the title that it is a gift. More information on vehicle sales tax exemptions is available here.